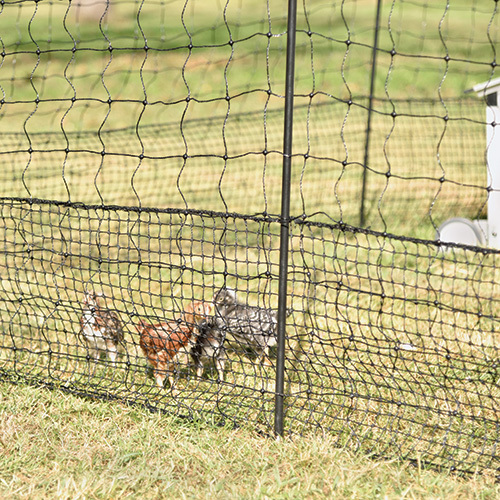 A multi-purpose netting with a chick-tight mesh on one side and electrifiable strands on the other. 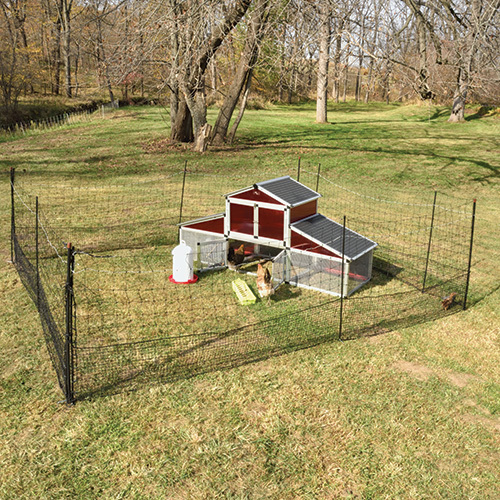 This combination allows you to use the enclosure as a non-electrified day pen for small birds, or electrifed for effective predator protection day and night. Height: 48" (4 ft) tall. 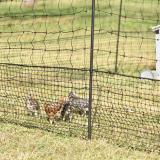 B16" height of non-conductive chick-tight mesh (3/4" spacings) along bottom of fence prevents small birds from escaping. Lowest electrified strand 4" above soil. 15mm double spike posts every 6.8 ft. 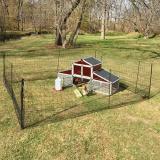 Kit includes 4 FiberTuff support posts. 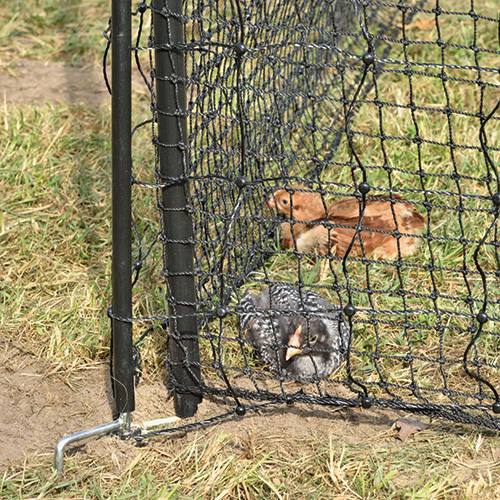 Electrified netting successfully contains chickens and other poultry while keeping their predators out. Without a proper deterrence, birds and predators will not learn to respect the fence and, unfortunately, will test it. 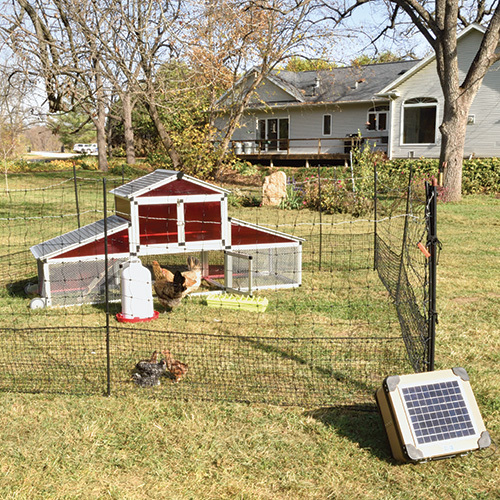 Though we strongly suggest that you electrify with a fence energizer, there are some cases where it does not have to be electrified. Some folks prefer to watch their birds during the day and take them in at night. They can use a non-energized fence. 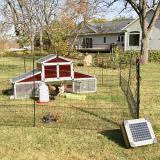 If your flock is not under constant supervision, then we strongly advise that you electrify the fence. 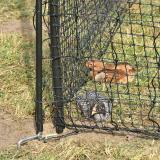 Non-electrified netting will not stop predators.